As promised, here’s the first of the submissions from the xDesign Challenge that took place at SOLIDWORKS World 2018 in February. If you missed the intro blog about the xDesign Challenge, you can catch up here. Born in Utica, New York, David spent his early engineering career working in Albany and Binghamton in various mechanical engineering roles. He has been a SOLIDWORKS user since 2005. In the summer of 2014, David relocated to Long Island and began working for ULC Robotics. He develops systems used in the service and repair of gas utility lines using robotics systems. David also currently serves as the Leader of the Long Island SOLIDWORKS User Group, and previously led the Tech Valley SOLIDWORKS User Group. I chose urban mobility for my theme. A few years ago I moved to Queens, NY, and began using public transportation a lot more. At this same time I began seeing several videos online showing how difficult it was for individuals in wheel chairs to get around the sidewalks. One video actually showed a friend of mine from high school going through her daily commute as a young professional, trying to overcome all the obstacles that exist and go unnoticed by most able-bodied individuals. I was hoping to make new improvements to the wheel chair and roll them together to get a more able mechanism for urban and outdoor transport. I took a look at all the existing technology and began brainstorming to get what I have presented. 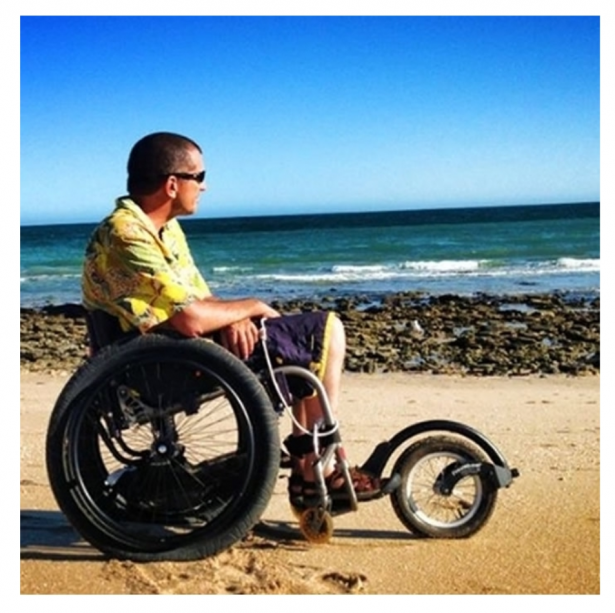 This product is a combination of many principles of improving wheelchairs, with the main exception of adding airless tires to all the wheels. 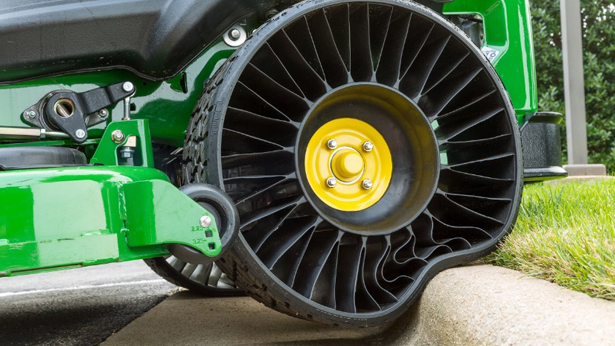 When moving over cobblestone, rough terrain, sand, or large curbs this change could make it easier for individuals to travel without experiencing extremely rough rides or impacts due to the force of overcoming obstacles such as a large curb. Many chairs now use suspension systems, which could cause the rider to lose power when trying to speed up, like peddling downward on a bike with suspension and losing the downward force of the thrust. 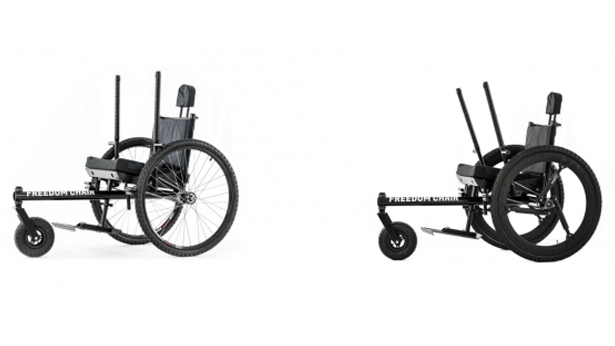 The product also features ratcheting arms for propelling the chair and also a larger single wheel in the front which can improve mobility in rougher terrains.